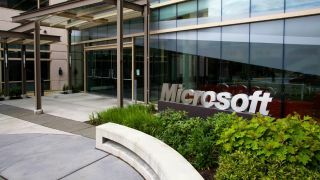 Microsoft has spilled the beans on some of its upcoming customer relationship management (CRM) solutions, designed to offer smarter marketing and more personalised customer care. First up, MarketingPilot will be rebranded as Microsoft Dynamics Marketing and will add marketing automation to Microsoft Dynamics CRM. New features include a visual campaign designer, lead management and scoring abilities, scalable email marketing, and deep marketing analytics. A new Unified Service Desk will offer enhanced management capabilities, including ones shifted from the recently acquired and closed Parature firm. Additional features include self-service via support portals, and Facebook and Twitter to Web chat and video. These give new ways to engage with customers and offer support in a way that suits individual needs. Microsoft also unveiled Microsoft Social Listening, which analyses social conversations to help businesses and marketers understand and measure customer sentiment. It can also track products, brands, campaigns, and competitors. "The new Microsoft Dynamics CRM update democratizes social listening, adds new marketing capabilities for more impact and enables businesses to deliver outstanding customer service. With this new release, we are essentially changing the CRM game," said Bob Stutz, corporate VP of Microsoft Dynamics CRM. The new CRM product will launch in the second quarter.